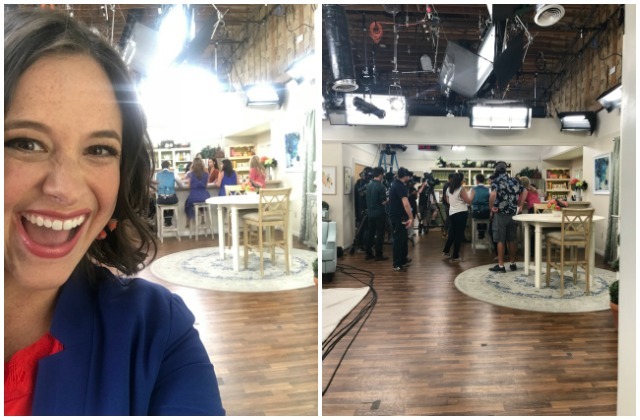 A few weeks ago I was on The Hallmark Channel’s Home & Family talk show. If you don’t watch this show, you totally should. 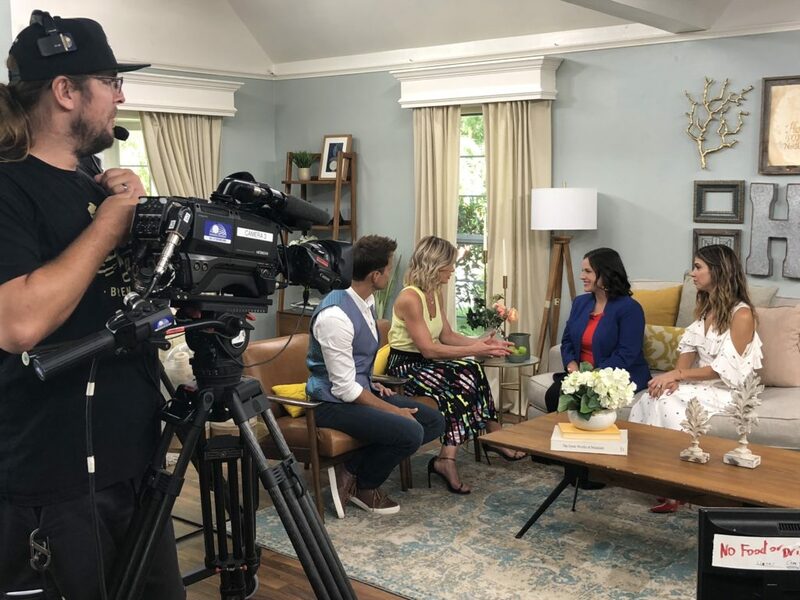 Hosted by Debbie Matenopoulos and Cameron Mathison, the lifestyle show features advice and information from experts in a variety of fields to help viewers with both every day talks to special events. Segments include cooking, DIY, health and beauty, fitness, gardening, pet care, finances and parenting and other topics. 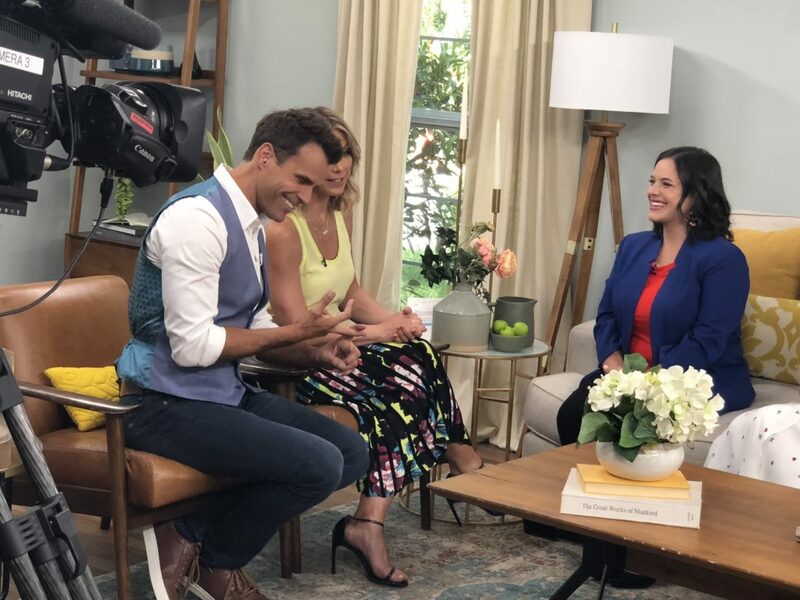 I was invited on to talk about my new book, Stretched Too Thin: How Working Moms Can Lose the Guilt, Work Smarter and Thrive. My friend Jennifer accompanied me, which was nice to have someone with me to navigate a new and exciting experience. When we got there, we were shown to my trailer — yes, I had a trailer, complete with my name on it. We then went to make-up. 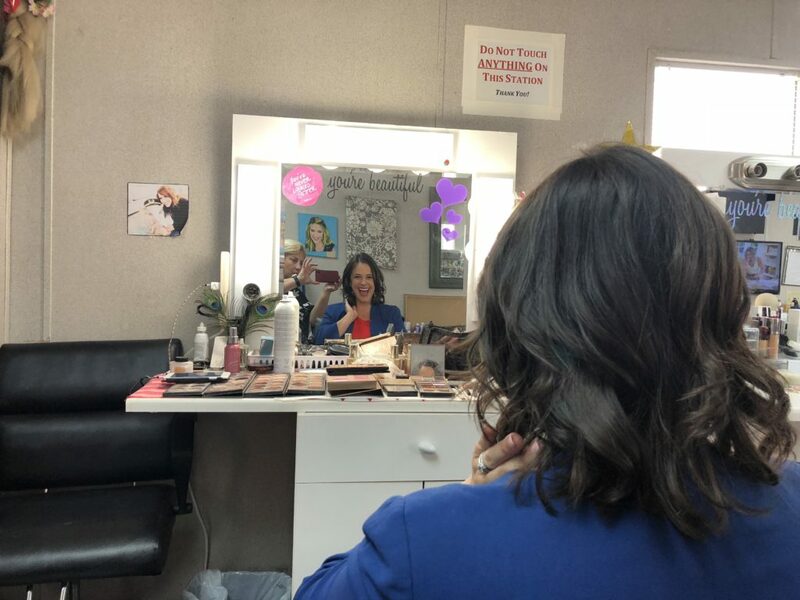 I was told to come camera ready, so the make-up artist just did a little touch up. 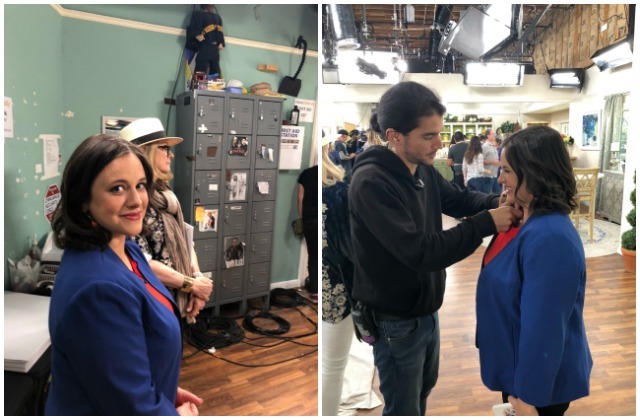 (I used thumbtack to find an affordable make-up artist in LA). Then, it was off to the house! 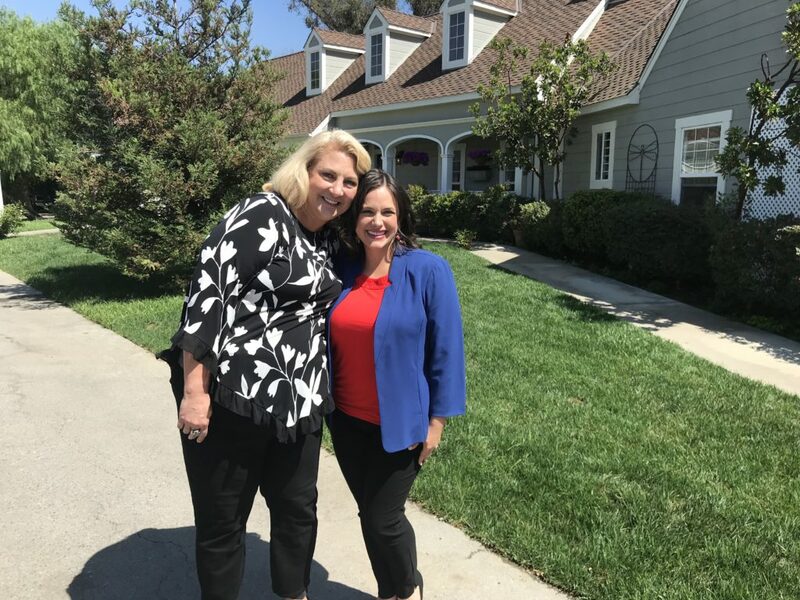 If you aren’t a regular viewer, you might not know that the show is filmed in a house, and each segment takes place in a different room. They put on my mic, I waited just for a few minutes and then I was whisked to the den. The segment included Debbie, Cameron and Orly Shani. 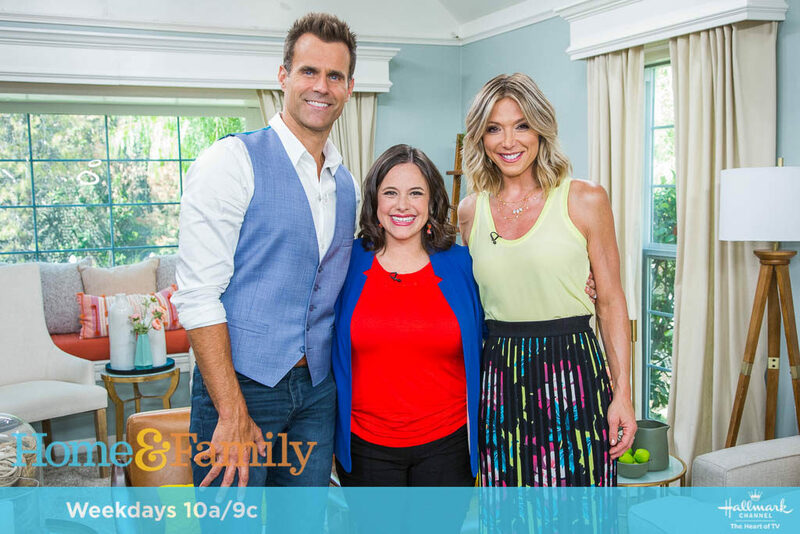 You can watch the Hallmark Channel segment below. My favorite moments were when I was able to encourage both Orly and Debbie that they are great moms and that their kids are not suffering because they work. When Debbie teared up telling her own mom guilt story, it reminded me so much of this story I share in the book. After the segment, I was taken off the set, the cast moved to the next room and we were shown out of the house. I was sad I didn’t get to stay for a cooking segment or get to check out the craft room, but maybe The Hallmark Channel will invite me back! It was an incredible experience and one that I am so thankful to have had. Everyone was so kind and genuine, just like they are on the show. Previous article: Buy Stretched Too Thin, Get The Fringe Hours Free!